Prof. Charles Cho, Director of ESSEC CEMAS; Matias Laine, University of Tampere; Robin W. Roberts, University of Central Florida; and Michelle Rodrigue from the Université Laval take us through a two-part article for the Council on Business & Society that reveals the background and legitimacy of corporate sustainability reporting and how hypocrisy and facades may prove paradoxically beneficial for people, planet, and profit. 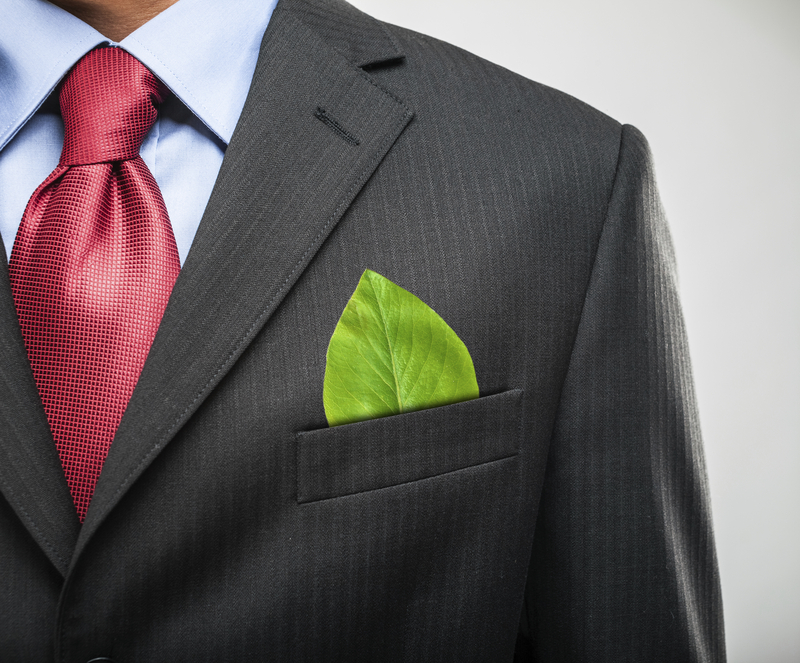 How did sustainability come to grow? Sustainability initiatives and sustainable development departments have become omnipresent in medium-to-large corporations throughout developed countries to the extent that no company which takes its business, its customers and its image seriously would be seen without them. How did this phenomenon come about in so relatively short a space of time? Both voluntary, societal and statutory factors play a part: stakeholder awareness of social and environmental issues have surely had an impact, as have new and/or more stringent regulations on both a national and international level. Indeed, International movements such as UNEP, COPs, etc., but also reporting movements like the GRI and the IIRC have added positive pressure for companies to resort to sustainability. In parallel, today’s environment of almost instant communication has meant that people in general have improved accessibility to information about the state of the planet, the state of the people and about company performance, as shared through all sorts of media. Linked to this, or even as a result of this, companies might also invest in sustainability initiatives and reporting as a matter of corporate strategy and positioning – corporate social responsibility is sometimes used to derive competitive advantages. The age-old question: mandatory or voluntary policy? Is sustainability reporting mandatory or voluntary from country to country? And what does that depend on? In reality, sustainability reporting varies quite a bit from country to country and depends on a bouquet of factors that include the social and political context of the country. Moreover, in the age-old argument for statutory or voluntary regulation of business matters, it is unclear at the moment whether reporting regulation would resolve the issues associated with voluntary reporting. For instance, research has shown that a mandatory reporting regime in Spain developed less successfully than a voluntary regime in the UK. However, the key is that while reporting regulations exist in several countries, they are for the most part not monitored and most importantly, they are NOT enforced (seriously enough)—having reporting regulations, or any type of regulation as a matter of fact, without enforcement and consequences such as penalties and sanctions is like having voluntary reporting! The bottom line question: does sustainability reporting actually have a beneficial impact both on business and the planet? “Environmental” or “carbon footprint” has almost become a buzzword and like all buzzwords it has its moment of glory then drifts out of fashion. When all the business and society speak has been said, the key question remains: to what extent does sustainability reporting actually have a beneficial impact both on business and the planet and has it been empirically measured? First, sustainability reporting and reports have been around for many years. General Motors started standalone public interest reports back in the 1960s and large multinationals have long realized they needed to seem accountable to a broader part of society. So this is far from new as accounting researchers have been analysing these issues since the mid-1970s! In addition, one very important point is the huge difference between business sustainability and planetary sustainability. Business focuses really on being less unsustainable so that they can continue to operate for the benefit of their shareholders and “create value”. Increased consumption drives growth and eventually translates into a greater use of resources despite the discovery and promotion of efficient processes and new technologies. The caveat is that this is a collective action problem that cannot be solved at the organizational level. As for “environmental or carbon footprint”, it is virtually impossible to measure, or at least measure accurately. It can, however, be argued that the reports have increased awareness of environmental issues both within and outside of organizations. Furthermore, through the increased availability of information, stakeholders have also challenged organizations to perform better and, as a concomitant result of this, to stand tall to the claims they make in their reports. Sustainability is generally considered beneficial for people and planet. However, many stakeholders, including employees within corporations themselves, tend to view corporate sustainability with caution. Why would that be? Could it be the effect of “past sins”? The answer could be that at least one of reasons could relate to prior examples, in which corporations have tended to say nice things, but they have not eventually walked the talk. Similarly, there have been several examples in which publicly traded organizations have been noted to lobby and/or otherwise work against new environmental regulation or initiatives; this despite claiming to be environmentally friendly or conscious. * Moreover, in situations where an organization needs to emphasize either economic or environmental gains, the short-term economic benefits tend to prevail. This is not to say that organizations would not be working with environmental issues but short-termism makes it difficult for managers to even look beyond the next quarter’s numbers. However, we can also, and importantly, come back to the point stated above—corporate or business sustainability is simply NOT planetary sustainability. *See Prof. Charles Cho and the ESSEC CEMAS current working paper below. Cho, C.H., Laine, M., Roberts, R.W. and Rodrigue, M. (2016). The Frontstage and Backstage of Corporate Sustainability Reporting: Evidence from the Arctic National Wildlife Refuge Bill. Working Paper. While proponents of sustainability reporting believe in its potential to help corporations be accountable and transparent regarding their social and environmental impacts, there has been growing criticism asserting that such reporting schemes are primarily utilized as impression management tools. Drawing on Erving Goffman’s (1959) self-presentation theory and its frontstage/backstage analogy, we contrast the frontstage sustainability discourse of a sample of large U.S. oil and gas firms to their backstage corporate political activities in the context of the passage of the American-Made Energy and Good Jobs Act, also known as the Arctic National Wildlife Refuge (ANWR) Bill. Our results suggest that the firms’ sustainability discourse on environmental stewardship and responsibility sharply contrasts with their less visible but proactive political strategies targeted to facilitate the passage of the ANWR Bill. Our study thus contributes to the social and environmental accounting and accountability literature by highlighting the relevance of Goffman’s frontstage/backstage analogy in uncovering and documenting further the deceptive nature of the discourse contained in stand-alone sustainability reports. In addition, it seeks to contribute to the overall understanding of the multifaceted nature of sustainability reporting by placing it in relation to corporate political activities.